[PDF] Likeonomics: The Unexpected Truth Behind Earning Trust, Influencing Behavior, and Inspiring Action | Free eBooks Download - EBOOKEE! Description: How to become a trusted resource for consumers in a society of constant manipulation People decide who to trust, what advice to heed, and which individuals to forge personal or transactional relationships with based on a simple metric of believability. Success, in turn, comes from understanding one basic principle: how to be more trusted. 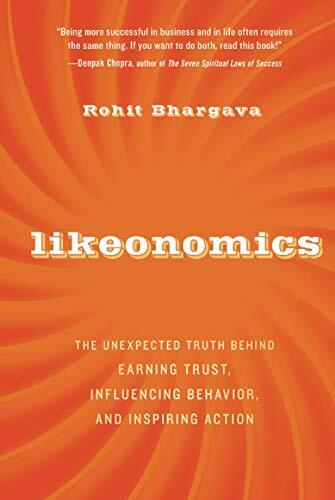 Likeonomics offers a new vision of a world beyond Facebook where personal relationships, likeability, brutal honesty, extreme simplicity, and basic humanity are behind everything from multiâ€“million dollar mergers to recordâ€“breaking product sales. There is a real ROI to likeability, and exactly how big it is will amaze you. Likeonomics provides realâ€“world case studies of brands and individuals that have used these principles to become wildly successful, including: An iconic technology brand that awakened a revolution among their employees by standing for something bigger than their products A Portuguese singer who used YouTube to rack up more than 30 million views and launch her professional career. A regional team of financial advisors that went from being last in the nation among 176 branches to first, and stayed there for 13 of the next 15 years A tiny professional sports talent agent who achieved the impossible by landing the #1 drafted player in the NFL draft as a client through the power of relationships Author Rohit Bhargava is a founding member of the world?s largest group of social media strategists at Ogilvy, where he has led marketing strategy for clients including Intel, Pepsi, Lenovo, Seiko, Unilever, and dozens of other large companies With Likeonomics as a guide, readers will get unconventional advice on how to stand out in a good way, avoid the hype and strategic traps of social media, and appeal to customers in a way that secures your company as a trusted and believable resource. No comments for "[PDF] Likeonomics: The Unexpected Truth Behind Earning Trust, Influencing Behavior, and Inspiring Action".